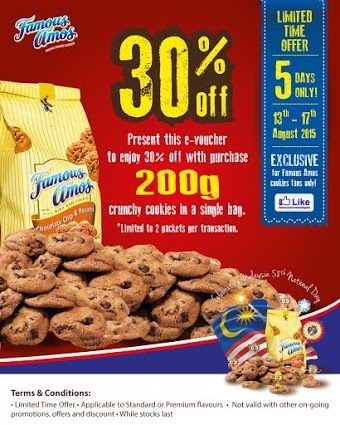 Famous Amos is giving away FREE e voucher! cookies in a single bag. This offer from 13 Aug to 17 Aug 2015!